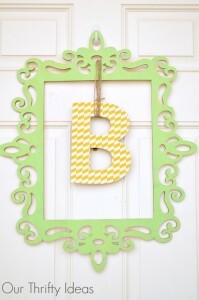 I spent a couple minutes last week trying to make my house a little brighter. I wanted to get some vibrant colors into the living room, and so I pulled out my scrap fabric stash and picked a few that coordinated well with one another. I’m happy with what I have, but still need to make 2 more pillows and didn’t have any scraps that I felt went well. So I’ll be purchasing a few more colors! 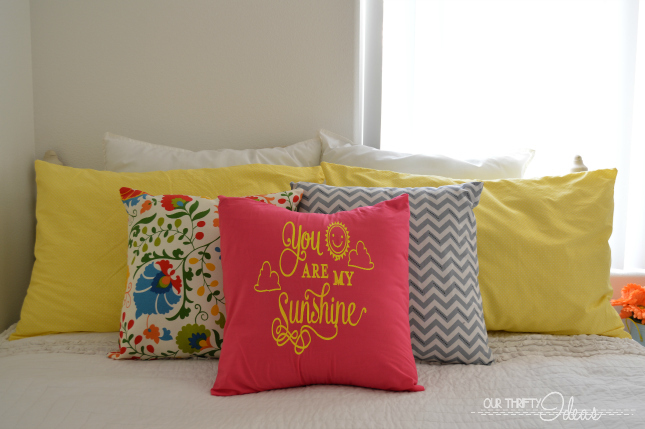 These are the ones that I have on my couch right now….but I did put the pink pillow on the spare bed and now I’m thinking it may need to stay there! 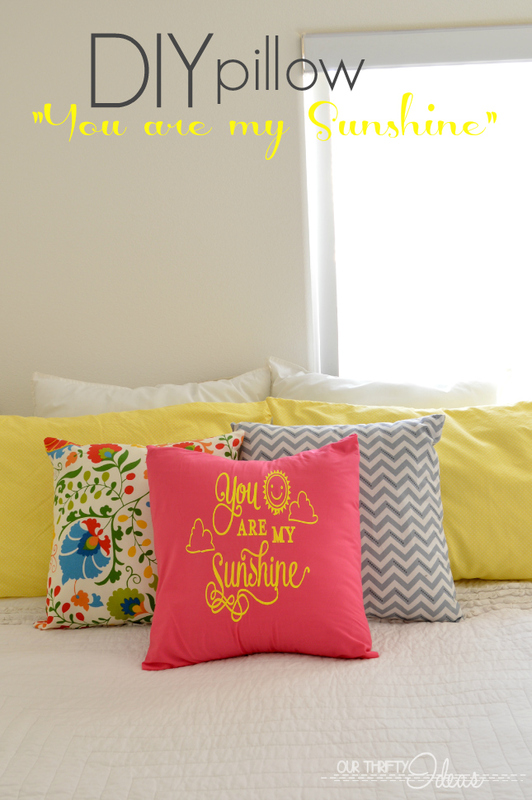 I made all of the pillow cases using the tutorial I shared here. 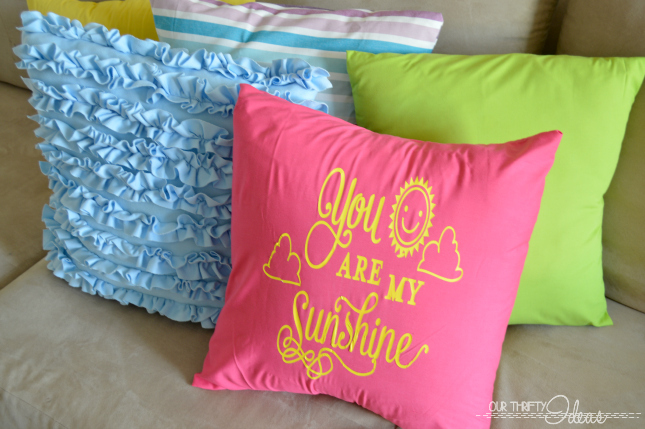 It’s so easy and I really made 4 pillows from start to finish in less than 45 minutes. 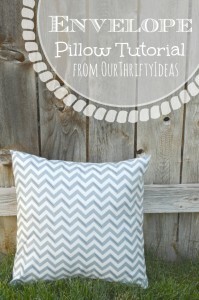 Isn’t it looking great next to those other pillows? Yup, I think I need to keep it there! Ok, now onto how I made it? 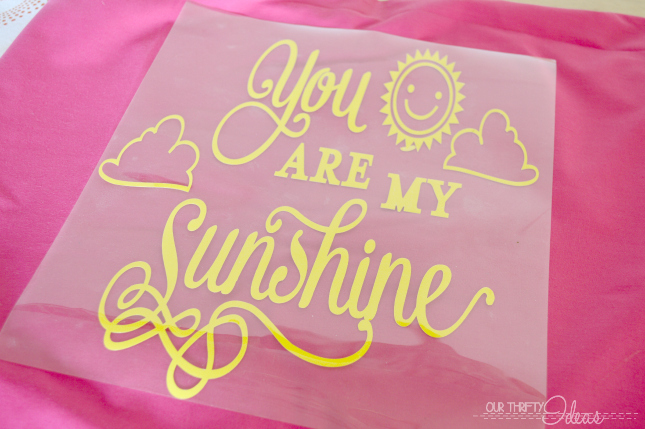 I used my Cricut explore and cut out this file for the “You are my sunshine” image. 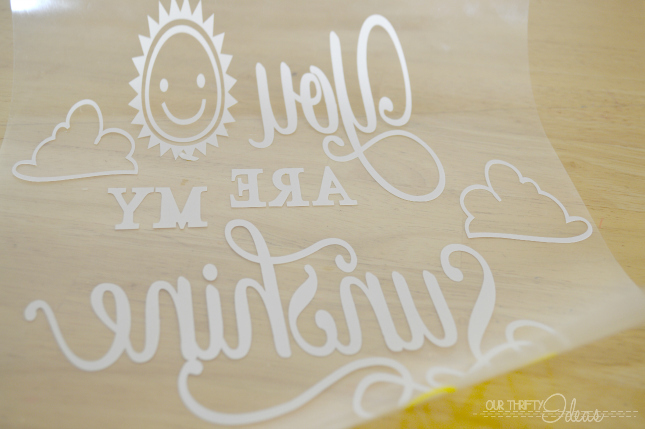 I cut it out using the Lemon Yellow heat transfer vinyl from Expressions Vinyl. 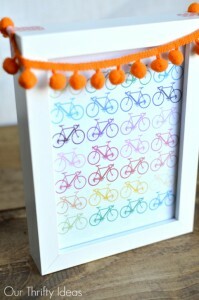 And then weeded it leaving only the image on the clear transfer film. I put it onto the pink pillow cover right in the center. Then with my iron on high heat, I transfer the vinyl to my pillow case from the film. Also, can you spot where I either forgot to weed the vinyl or another piece fell into place? It’s not too noticeable…and I didn’t realize til it was all transferred. So I’m gonna leave it as is! And now, one lucky reader is gonna get a $25 credit to use on your own vinyl from Expressions Vinyl. Enter on the rafflecopter form below. And if you can’t wait, or if you don’t win, you can get 10% off your total purchase just by using “OURTHRIFTYIDEAS” in the promo code area at checkout. I have such a soft spot in my heart for that saying. 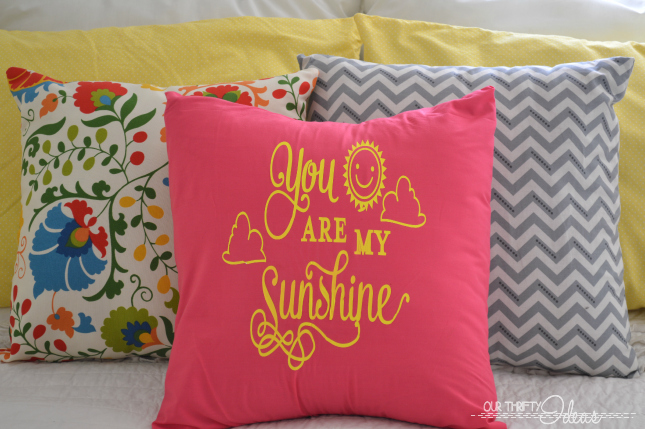 I used to sleep over at my grandma’s house all the time and she had a bright sunshine painted on her guest bedroom wall with the saying “you are my sunshine”. I have always loved that so much! 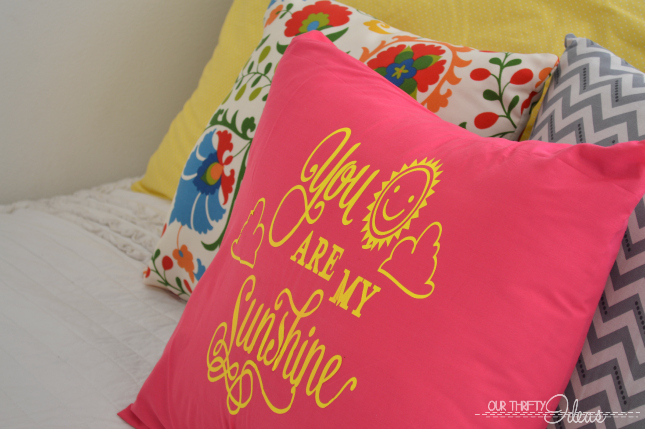 I think I need a pillow like that in my house!! Thanks for sharing! eep im dying of sweetness i absoutely love it!